Could You Be More Susceptible to Cavities than Others? You never skip brushing your teeth. Every morning and every evening, you stand in front of that bathroom mirror for at least two minutes and clean your teeth. You also floss every day. But somehow, you still end up with cavities. 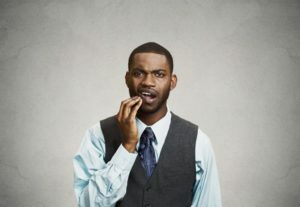 In fact, you have a friend who isn’t half as diligent about oral hygiene as you, but they seem to have healthier teeth. What’s up with that? In fact, your susceptibility to cavities might not have anything to do with your brushing and flossing habits. There are several other factors that can lead to tooth decay. Be honest — how much sugar do you consume on a daily basis? You might not be popping candies in your mouth one after the other, but you could still be consuming more of the sweet stuff than is healthy for your teeth. For example, maybe you use a flavored coffee creamer that’s full of sugar, or perhaps your morning cup of yogurt is super sweet. It might even be all those yummy citrus fruits that are the sugar-loaded items in your diet. Sugar interacts with the bacteria in your mouth, leading to plaque and tooth decay. Do your best to enjoy it in moderation, and rinse your mouth afterward with water to wash away some of the bacteria. Saliva is essential for washing away bacteria and keeping your mouth clean. Therefore, when your mouth isn’t moist enough, you become more vulnerable to cavities. Lots of things can cause dry mouth, including medications, diet, mouth breathing, and more. Try to identify the cause of your dry mouth and make adjustments to boost saliva production. You might need to drink more water, cut back on salty foods, or get treated for nasal issues that are causing you to breathe through your mouth. Every person’s smile is unique; some people have deeper grooves in their chompers than others. This means that food particles and bacteria are more likely to get stuck on chewing surfaces. The longer they sit there, the more likely it is that they’ll lead to cavities. You might have to spend more time brushing your teeth to clean these areas. You could also ask your dentist about sealants, which will place a protective barrier over your teeth’s chewing surfaces. Some people’s gums recede due to genetic factors, while others suffer from receding gums because of periodontal disease. In either case, the roots of your teeth become exposed when the pink tissue around them shrinks back far enough. Those roots don’t have enamel to protect them against plaque and tartar, so they are more prone to cavities than the tops of your teeth. Your dentist may be able to stop the gum recession or even provide a gum graft to protect your teeth. Are you more prone to cavities than other people? Maybe this blog post has uncovered the reason why. The team of dentists and other staff members at Flenniken Family Dentistry provide preventive and restorative services to stop and repair cavities. If you’re concerned about tooth decay, we’d like to help. Please contact us at 717-249-7777. Comments Off on Could You Be More Susceptible to Cavities than Others?